Book Description: Database Design - 2nd Edition covers database systems and database design concepts. New to this edition are SQL info, additional examples, key terms and review exercises at the end of each chapter. Database Design - 2nd Edition by Adrienne Watt and Nelson Eng is licensed under a Creative Commons Attribution 4.0 International License, except where otherwise noted. 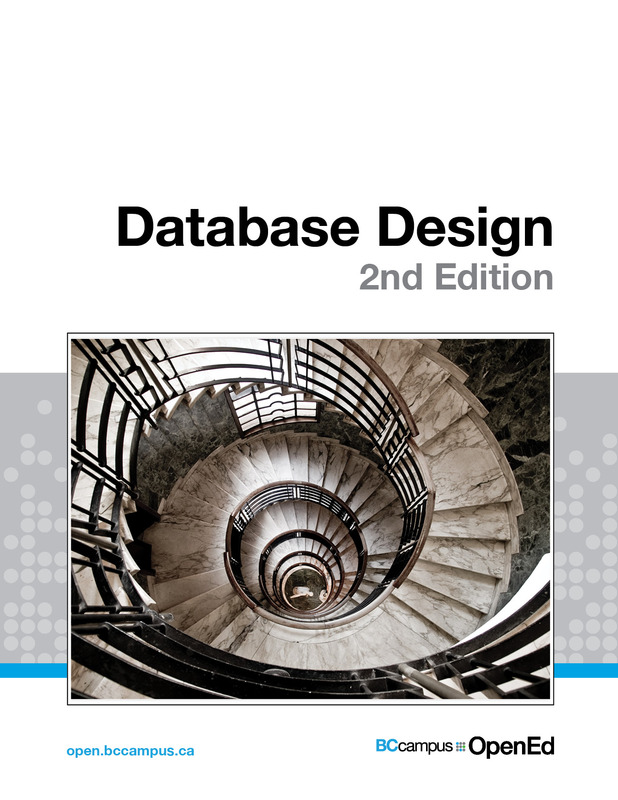 Database Design – 2nd Edition by Adrienne Warr and Nelson Eng is used under a CC BY 4.0 International Licence. Watt, A. and N. Eng. (2014). Database Design – 2nd Edition. Victoria, B.C. : BCcampus. Retrieved from https://opentextbc.ca/dbdesign01/. Spiral Stairs In Milano old building downtown by Michele Ursino is used under a CC BY-SA 2.0 Generic License. New to this edition are more examples, highlighted and defined key terms (both throughout and at the end of each chapter), and end-of-chapter review exercises. Two new chapters have been added on SQL, along with appendices that include a data model example, sample ERD exercises, and SQL lab with solutions.